If you want to get published, read this book! Jeff Herman’s Guide unmasks nonsense, clears confusion, and unlocks secret doorways to success for new and veteran writers! This highly respected resource is used by publishing insiders everywhere and has been read by millions all over the world. Jeff Herman’s Guide is the writer’s best friend. It reveals the names, interests, and contact information of thousands of agents and editors. It presents invaluable information about more than 350 publishers and imprints (including Canadian and university presses), lists independent book editors who can help you make your work more publisher-friendly, and helps you spot scams. Countless writers have achieved their highest aspirations by following Herman’s outside-the-box strategies. If you want to reach the top of your game and transform rejections into contracts, you need this book! 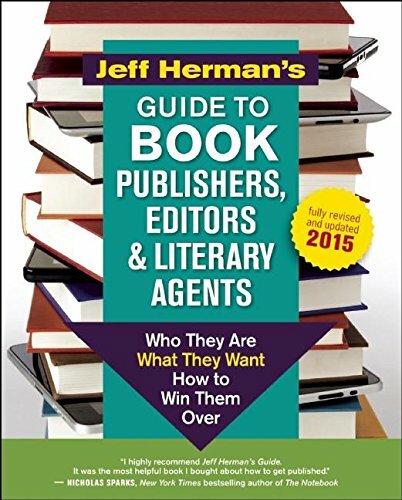 Jeff Herman’s Guide will educate you, inspire you, and become your virtual entourage at every step along the exhilarating journey to publication. Ask anyone in the book business, and they will refer you to Jeff Herman’s Guide. NEW for 2015: Comprehensive index listing dozens of subjects and categories to help you find the perfect publisher or agent. If you have any questions about this product by New World Library, contact us by completing and submitting the form below. If you are looking for a specif part number, please include it with your message.